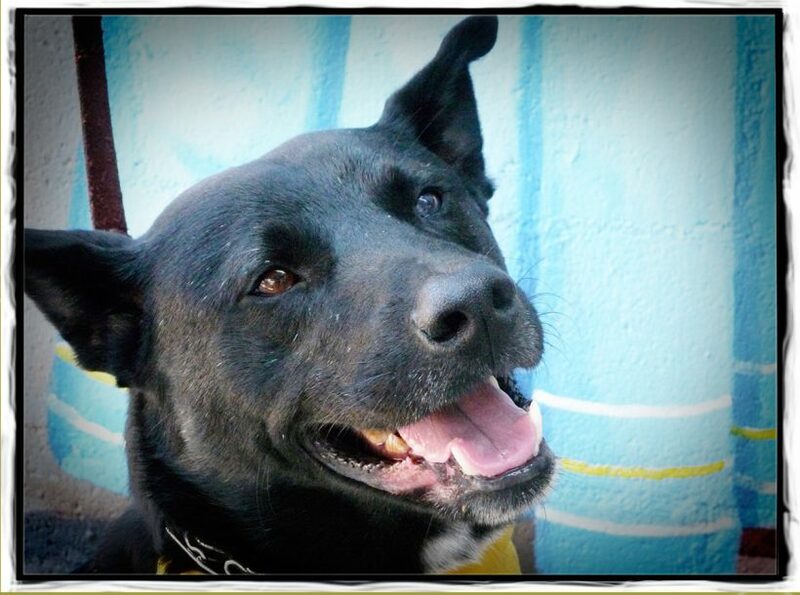 Stanley is a very sweet Black Lab Korean Jindo mix. He is a George Clooney kind of a senior. He is loyal, good with children and he has a gentle nature. He’s 11 years and 55 pounds and he is neutered and micro chipped. If you have a large property he will make sure no rodents, small animals or even insects wander around. So NO CATS! Jindos serve as excellent watchdogs, able to distinguish family from foe, friends from strangers, he has an intimidating bark. I call him “dog-cat-wolf” because he likes cuddling like a cat (his head and posture even look like one at times), he howls like a wolf yet he’s a dog. He’s clean and will go to the bathroom in a designated area. Stan loves to go on road trips and rides beautifully in a car. He loves going out for a run, enjoys grooming, and having his fur brushed and just to get pet makes him very happy. He’s an excellent feet warmer during cold days! If you are interested in meeting this awesome dog fill our our online application.